When I embarked on my floristry career over 15 years ago, it was partly inspired by a Sarah Raven course on setting up a cutting garden. I loved her thoughts on colour, and her beautiful, natural, ‘imperfect’ perfect style. Over the years that followed, I began to feel I’d lost my way a bit, straying from the natural path, seduced by the ease of buying from the Dutch markets (which I still have to do on occasion). I lost the patch of ground I was growing on, family commitments increased, and it’s fair to say I took my eye off the ball. 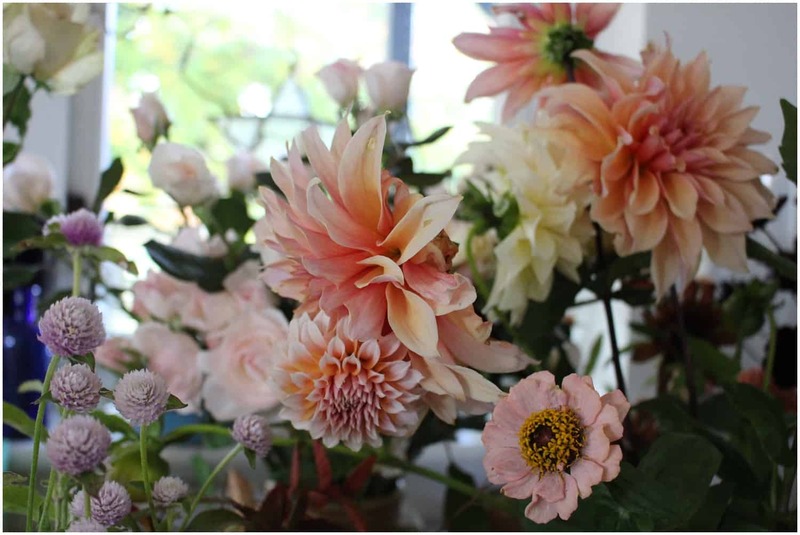 Over the past three years, however, I’ve found my way back, and with experience under my belt have never felt happier with my floral design philosophy. I use more and more British blooms, either sourced locally or grown myself. 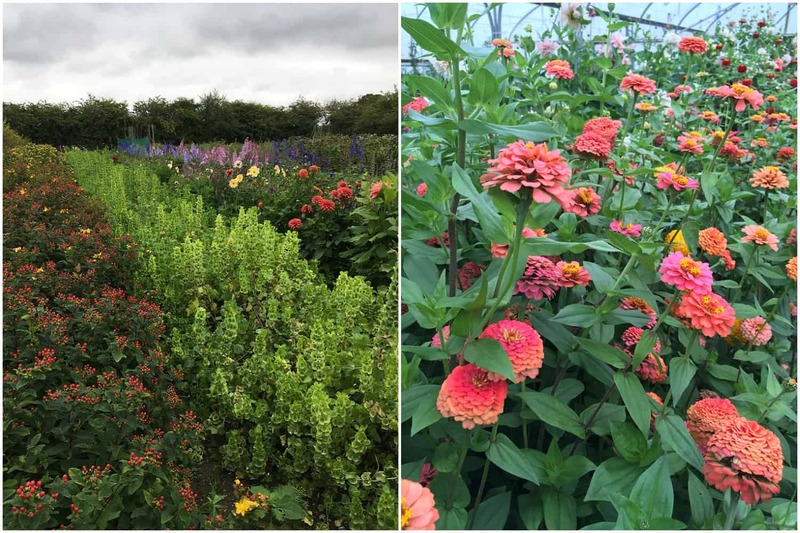 They have a texture, colour, fluidity and scent that cannot be matched by the big commercial growers – not to mention a shocking carbon footprint. I read recently that one greenhouse-grown rose can account for 2.1kg of carbon dioxide being released into the atmosphere, which is equivalent to going into your garden and burning a couple of pints of petrol! British growers are finally finding recognition for their talent and hard work. 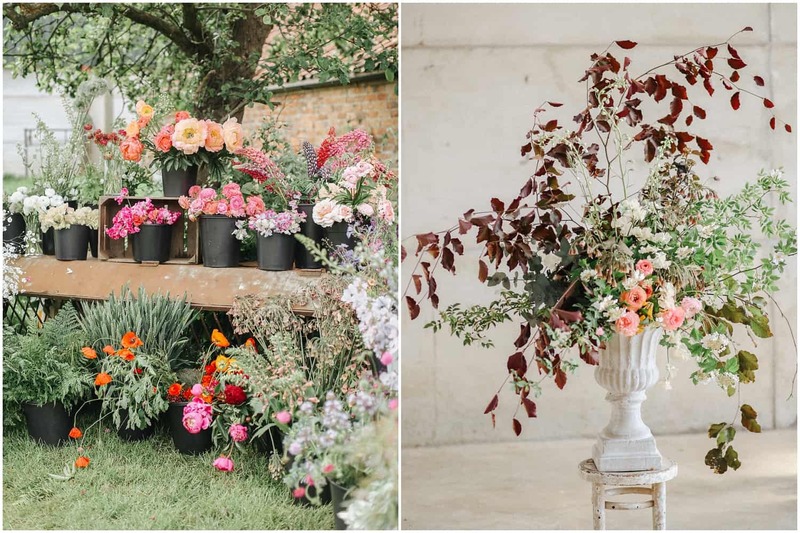 When coupled with artistic and ‘painterly’ floral design the results can be really beautiful. 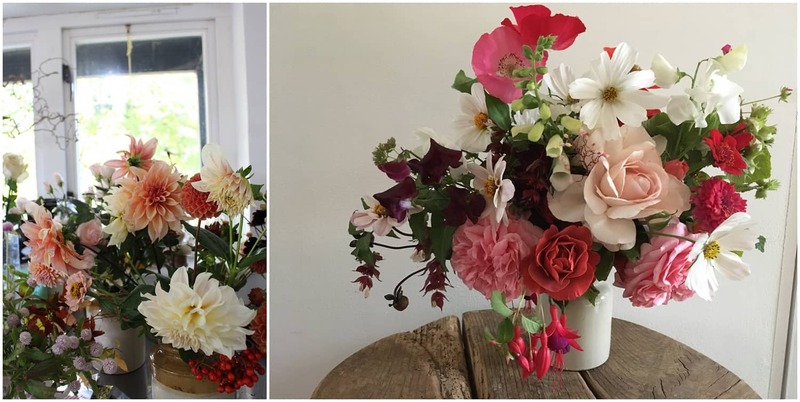 I have used flowers from Green and Gorgeous in Oxfordshire, Holme Flowers in Yorkshire and Tregothnan and B J Richards in Cornwall, all who produce high quality British blooms. I intend to grow more and more of my own, always learning and with so many beautiful varieties and the Devon landscape for inspiration, I feel I am at the start of a new chapter and have never felt more creative and satisfied with my work.